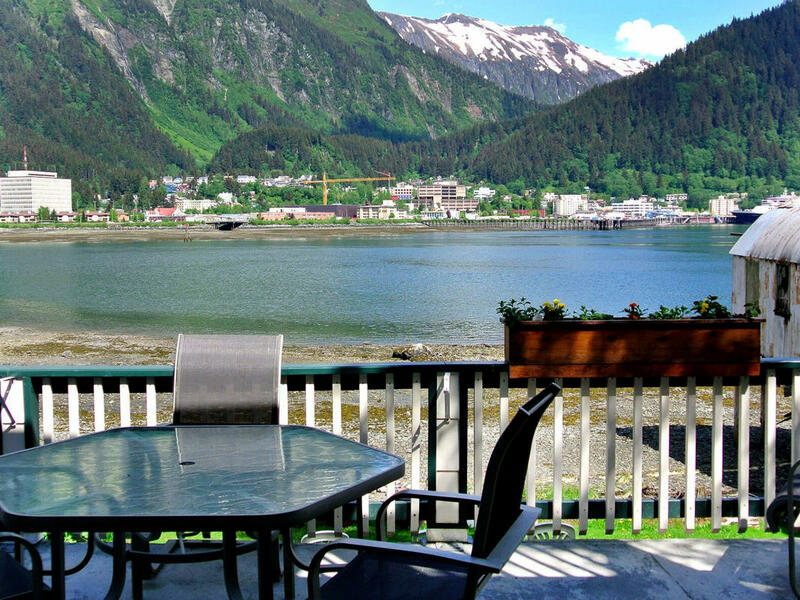 Room with a view of Downtown Juneau. 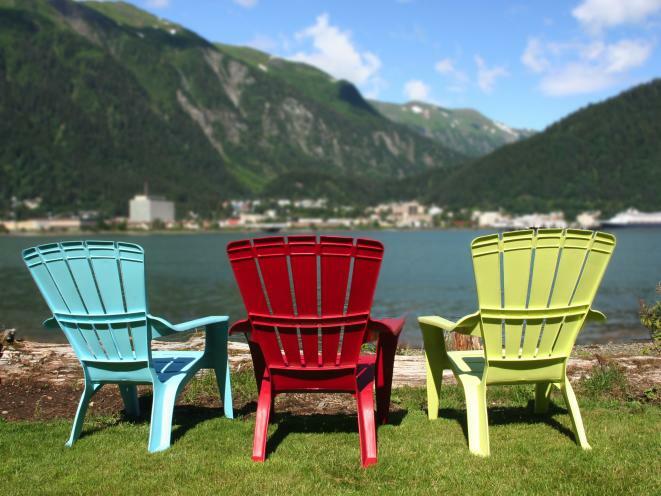 Your beach side lounge chair awaits. 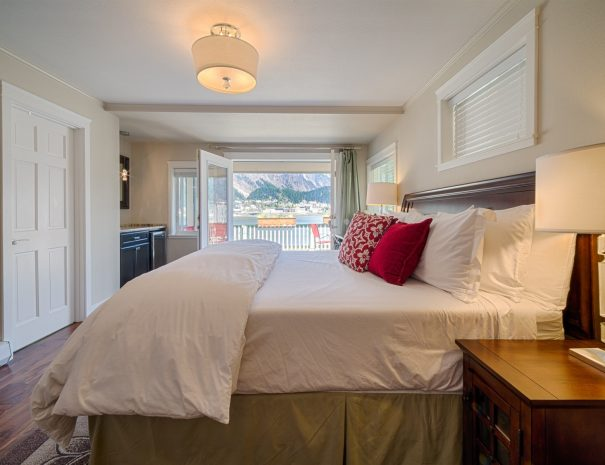 Our Harborview Room offers impeccable views of downtown Juneau and the mountains beyond. 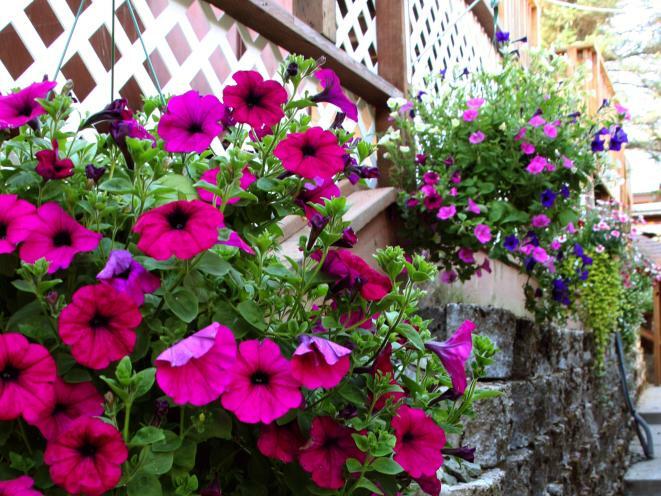 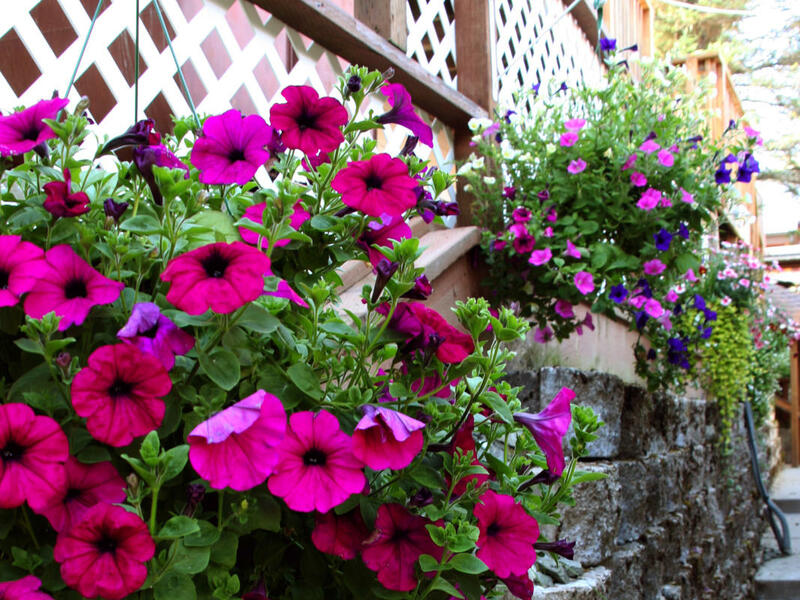 Summertime is in bloom at Beachside Villa. 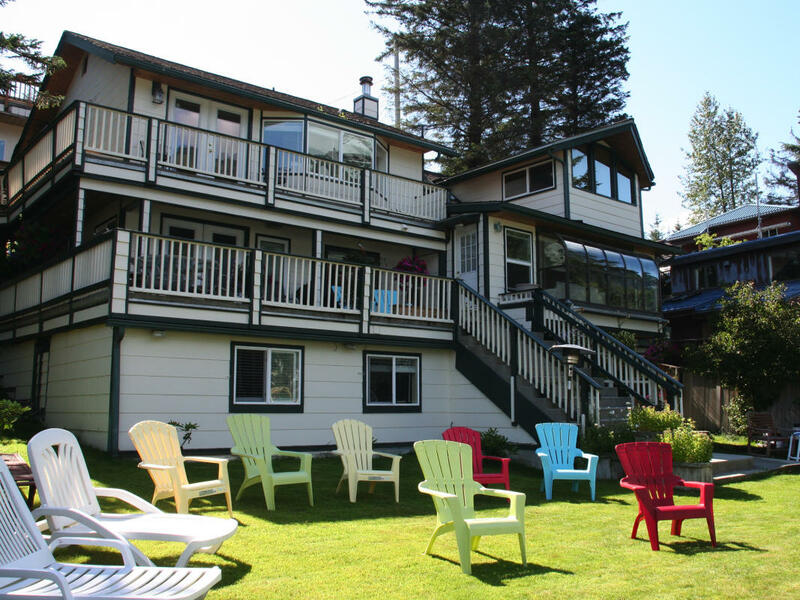 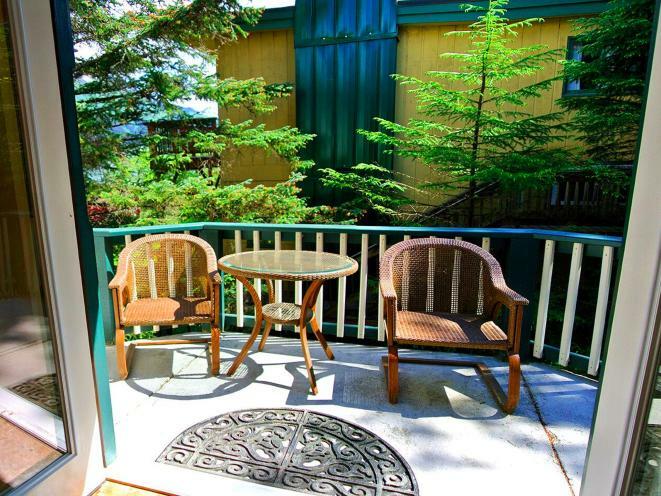 Waterfront luxury in Juneau, Alaska! 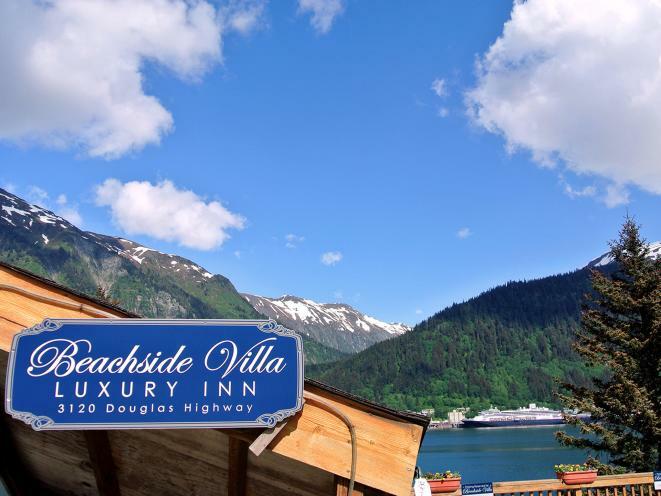 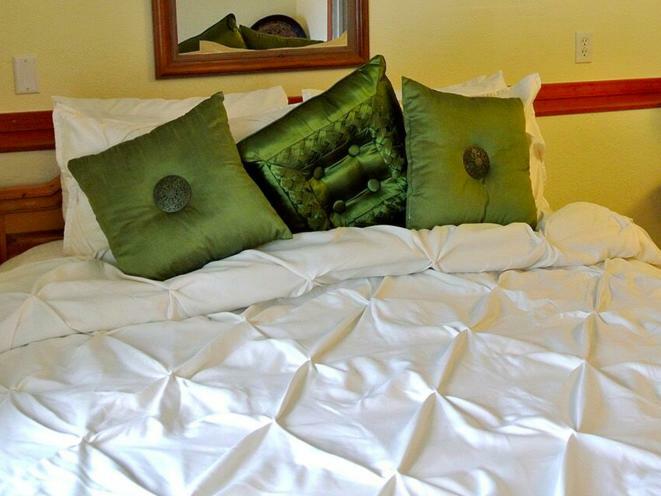 Beachside Villa Luxury Inn offers outstanding views and a 1st class facility. 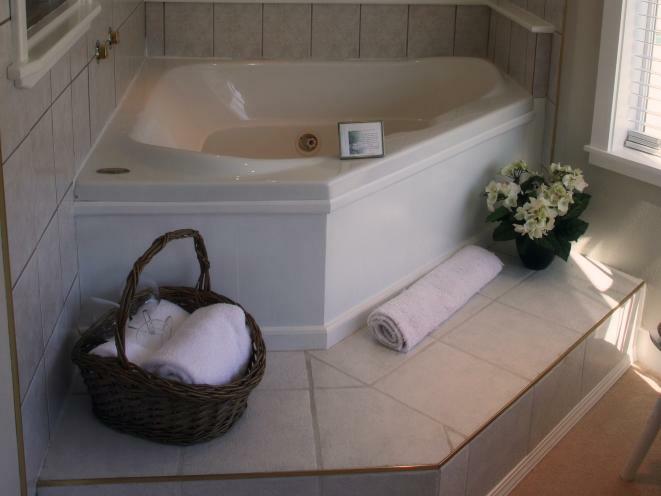 Michael & Susan look forward to having you as their guests at Beachside Villa. 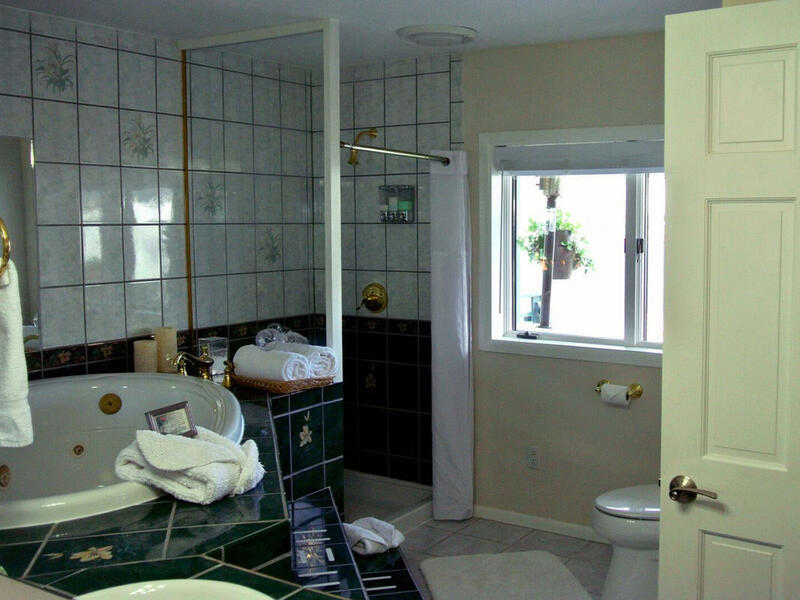 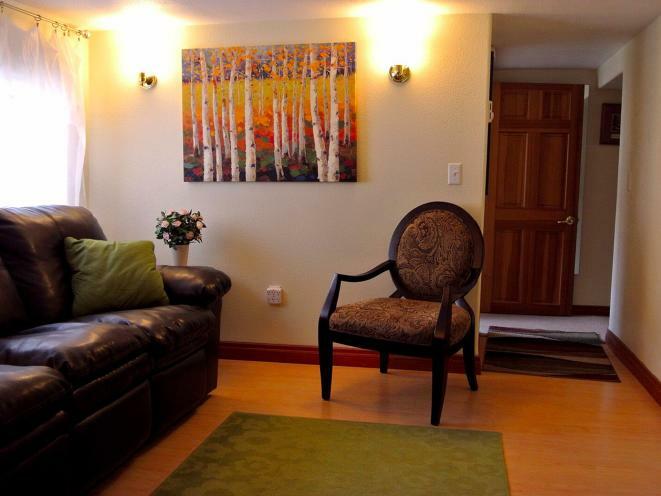 They take pride in their rooms—they are among the very best that Juneau has to offer. 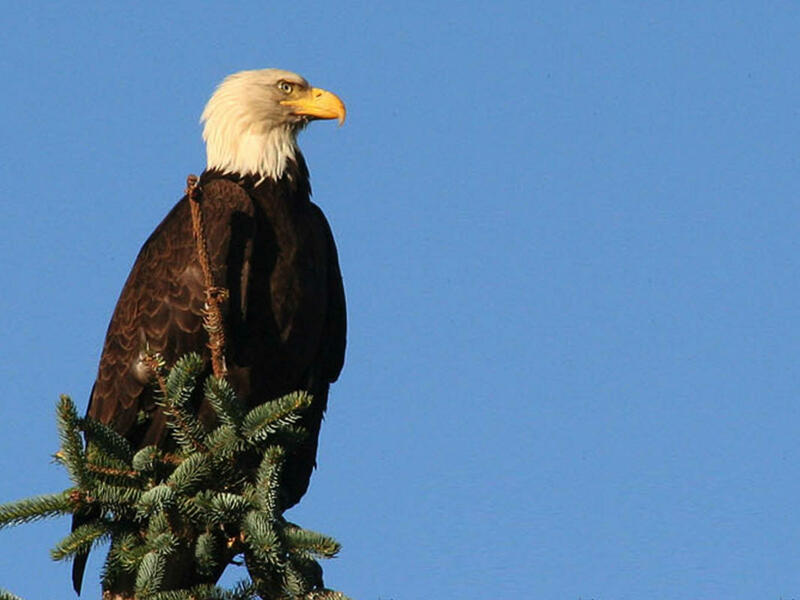 We know that you will enjoy them as well as all the magic of Juneau. The Harbor View and Penthouse rooms (King size beds,) also feature fireplaces, CD players, fountains, incredible views and in-room, 2-person Jacuzzi tubs with battery operated candles and luxurious large bath sheets. 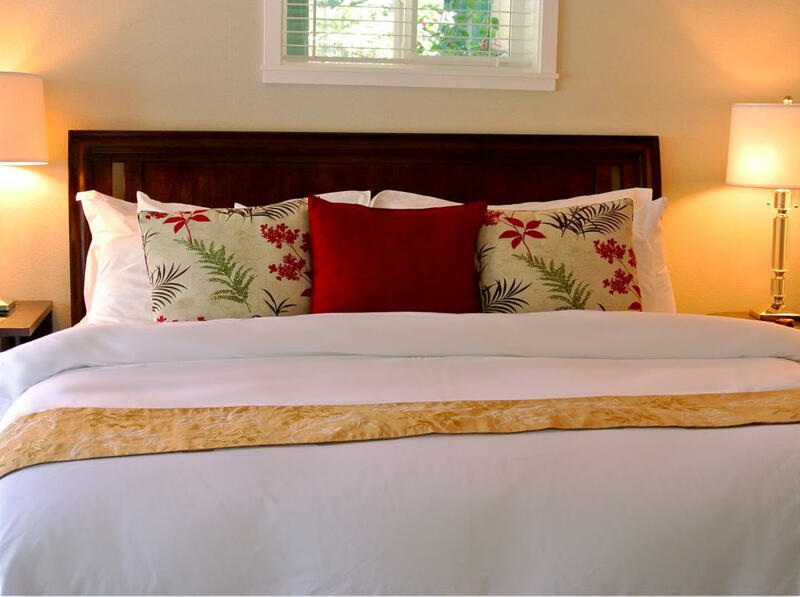 In the summer months, there are also two fully furnished suites including a full kitchen, one bedroom with a 2 person in room Jacuzzi tub, a queen bed and a pullout queen bed in the living room and the other room with a queen bed and a slider sofa. 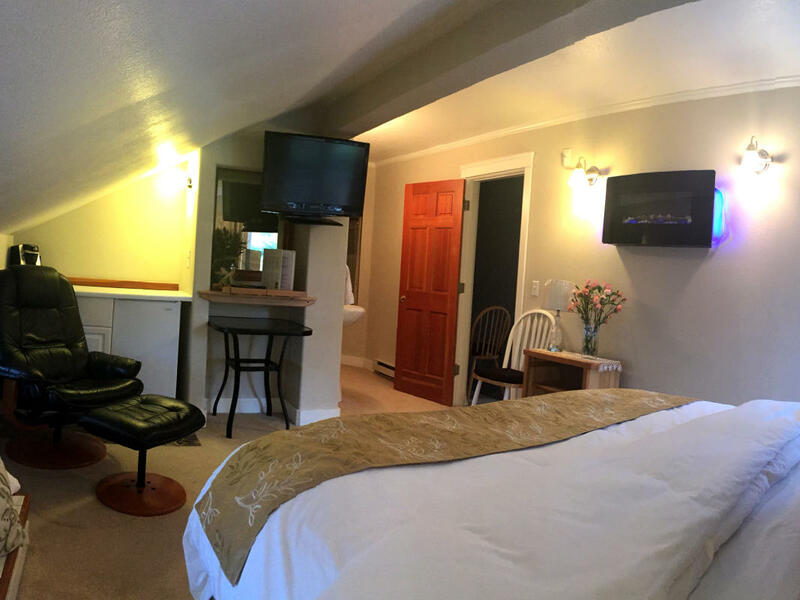 These rooms also have a washer and dryer for our longer term guests. All of our rooms as well as the entire Inn is smoke-free. 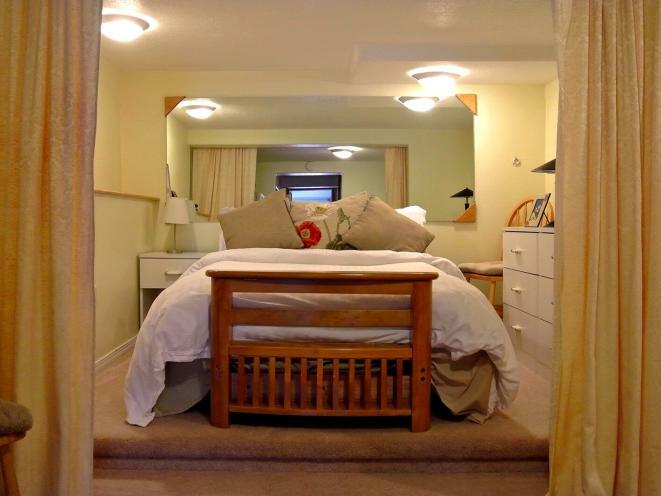 Fully furnished, self-catered, off site corporate suite available for longer stays.